The management of traumatic cardiac arrest differs significantly from the management of medical cardiac arrest, however the management is often lumped together. In this weeks Grand Rounds summary Dr. Nicholas Costain takes us through some controversies in the management of these difficult cases. There is ongoing debate in terms of effectiveness of resuscitation in trauma patients, particularly with regards to long-term outcomes. ATLS states that no intervention should be started in cardiac arrest patients with primary asystole due to traumatic causes. The conventional wisdom in the management of TCA from the National Association of EMS Physicians and the American College of Surgeons Committee on Trauma tells us it’s an almost uniformly fatal event in the out-of-hospital setting. The problem is that the data varies wildly regarding the survivability of TCA. Historically, systems show survival of < 3% and many have < 1%. It’s important to appreciate that the majority of studies cited in the NAEMSP/ACSCOT position paper were published more than 15 years ago, and the classic paper by Mattox showing a survival rate of 0% was published more than 30 years ago. Alanezi and colleagues published a 10 year retrospective analysis of their trauma registry data in Hamilton in 2004 in CJEM. They identified 50 patients who met inclusion criteria and they reported a 100% mortality in those who lost vital signs and required CPR prior to ED arrival. But recent studies from many groups show promise for better outcomes for TCA patients. This was a secondary analysis of cases from the ROC Epistry-Trauma and PROPHET registries. Patients were included if they had either blunt or penetrating injury and received CPR. They included 2,300 patients who were predominately young (mean of 40), males (79%), injured by blunt trauma (2/3 in both registries), and treated by ALS paramedics (Epistry, 93%; PROPHET, 98%). A total of 145 patients (6.3%) survived to hospital discharge. Interestingly, more patients with blunt trauma survived (81%) having vitals on emergency medical services arrival. These results are very encouraging when compared to the Daya and colleagues 2015 paper in Resuscitation analyzing the results from the ROC medical cardiac arrest dataset. Overall unadjusted survival to discharge increased between 2006 and 2010 for treated OHCA from 8.2% to 10.4%. Utility of external chest compressions in TCA. External chest compressions were first described in 1960 by Kouwenhoven in a landmark article on his experience with 20 cardiac arrest patients. 57 years later, I think we can all agree that closed chest compressions, paired with defibrillation, are the cornerstones of treatment of medical cardiac arrest. However, the evidence for their utility is based on patients with medical cardiac arrest; traumatic cardiac arrest has completely different pathophysiological mechanisms. The majority of potentially salvageable TCAs are due to hypoxia or insufficient preload (i.e. hypovolaemia, pericardial tamponade or tension physiology). 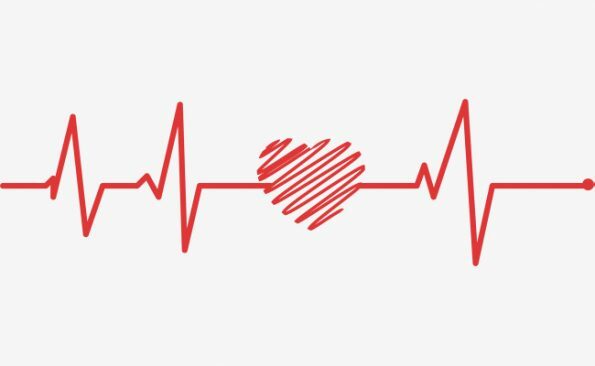 The heart may be beating but has nothing to pump! In addition, chest compressions in a potentially beating heart may result in clot displacement, chest wall injury and pulmonary and visceral injury. This was demonstrated in an article by Corbett and colleagues published in the Annals of Emergency Medicine in 1997; “The detection of traumatic complications of cardiopulmonary resuscitation by ultrasound”. Chest compressions deliver 10–30% of normal cardiac output in patients who have normal volume status. In significant hypovolaemia chest compressions are insufficient for coronary perfusion, so are unlikely to generate useful flow. So besides not making any physiological sense, is there any evidence regarding the utility of closed chest compressions? There is a paucity of literature of this matter. The most cited paper for withholding closed chest compressions in trauma arrest comes from an article published in the Journal of Trauma by Luna and colleagues in 1989. This study used only three baboons and developed a model of cardiac tamponade, followed by hypovolaemia, and eventually pharmacologically induced cardiac arrest, to compare haemodynamic parameters. Luna and colleagues concluded that ‘Trauma victims who might potentially benefit from immediate thoracotomy, thoracic aorta occlusion and internal massage are unlikely to benefit from protracted external compression. Routine use of chest compressions in trauma victims should be reevaluated’. The difficulties of undertaking resuscitation of a patient in traumatic cardiac arrest while performing chest compressions should not be underestimated. Resuscitation SHOULD include intubation, performing bilateral thoracostomies, establishing large bore venous access – often central access via a subclavian vein – instituting rapid infusion of blood and blood products, obtaining ultrasound and plain X-rays and perhaps performing a thoracotomy. Performing chest compressions can impair and hinder all of these interventions. It is possible that in patients with some chest injuries, for example multiple bilateral rib fractures, external chest compressions may cause significant harm. Some reports suggest that compressions may impair flow through rapid infusion devices, slowing transfusion and inhibiting volume replacement. The European Resuscitation Council (ERC) updated their guidelines in 2015. They state that in cardiac arrest caused by hypovolaemia, cardiac tamponade or tension pneumothorax, chest compressions are unlikely to be effective. Because of this fact, chest compressions take a lower priority than the immediate treatment of reversible causes (e.g. thoracotomy, controlling haemorrhage, etc.). On the heels of the ERC, the Australian Resuscitation Council (ARC) and the New Zealand Resuscitation Council (NZRC) updated their guidelines stating that in cardiac arrest due to trauma, haemorrhage control, restoration of circulating blood volume, opening the airway and relieving tension pneumothorax should have priority over conventional cardiopulmonary resuscitation (CPR) (i.e. 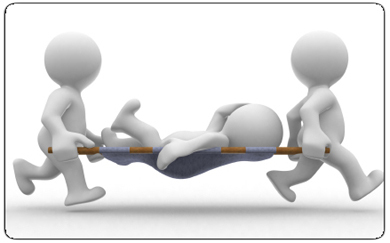 external chest compressions, defibrillation and adrenaline) unless a medical cause for cardiac arrest is reasonably suspected to have preceded the traumatic event. BLS and ACLS for the trauma patient are fundamentally the same as that for the patient with primary cardiac arrest, with focus on support of airway, breathing, and circulation. In addition, reversible causes of cardiac arrest need to considered. While CPR in the pulseless trauma patient has overall been considered futile, several reversible causes of cardiac arrest in the context of trauma are correctible and their prompt treatment could be life-saving. These include hypoxia, hypovolemia, diminished cardiac output secondary to pneumothorax or pericardial tamponade, and hypothermia. Role of epinephrine in TCA. Epinepherine is a directly acting sympathomimetic amine. It is used in CPR to increase cerebral and coronary perfusion via alpha mediated peripheral vasoconstriction. Epi has been a part of advanced life support since the standards were first published, as initial animal experiments demonstrated that it leads to increased coronary perfusion pressure, increased flow to vital organs and increased survival; however, RCTs in humans have failed to show this. So, should we be using epi or other vasopressors in trauma patients? This 2016 study by Lin and Colleagues examined the early postresuscitative hemodynamics, survival, and neurologic outcome according to different time points of first epinephrine treatment among children with TCA. This was a reterospective study of 388 children. They found that early epinephrine temporarily increased heart rate and blood pressure in the first 30 minutes of the postresuscitative period, but impaired end-organ perfusion and caused end organ damage. Most importantly, the rates of survival and good neurologic outcome were not significantly increased by early epinephrine administration. Gupta and colleagues’ review in 2017 concluded Vasopressors have a role in resuscitation when vasoplegic shock ensues and blood pressure cannot be maintained by fluids and blood products administration alone, only then should they be considered. In a 2014 systematic review and meta-analysis on this subject, a total of 15 studies were eligible and included. A random effects model suggested that patients receiving prehospital epi were 2.89 times more likely to achieve prehospital return of spontaneous circulation than those not administered epi. However, there were no significant effects on admission and survival to discharge. Epinepherine is known to adversely affect cerebral microvascular blood flow during CPR and may worsen cerebral ischemia. Combined with the fact that hypovolemic TCA patients are already hypoperfused, severely acidemic and maximally vasoconstricted, the role of epinepherine in this setting doubtful. The management of TCA patients is complex, stressful and uncommon, and is therefore prone to error unless a reproducible system is used to facilitate management. Every arrest is different, but all could benefit from a common structure; a template that allows for appropriate clinical deviation. As previously discussed, TCA is fundamentally different to medical cardiac arrest with different causes and underlying pathophysiology. In medical cardiac arrest, the majority of adult patients have a primary cardiac etiology, whereas in TCA the leading causes are traumatic brain injury, hypoxia and hemorrhage. Until recently, protocols for the management of cardiac arrest have not differentiated between medical and traumatic etiology. Of note, there is no mandatory trauma arrest specific resuscitation algorithm in our trauma bibles. For example ATLS and DSTC provide little to no guidance for these situations. Many emergency department providers may not be specifically trained on how to manage a TCA patient. Several algorithms have been published in the literature; in particular the ERC 2015 Trauma Arrest Algorithm in the most well referenced. These algorithms all contain certain components that should always be addressed when presented with a TCA patient. They all address the need to treat potential reversible causes of TCA. TCA is a unique disease in which clinicians are frequently confronted by a healthy heart that has arrested as a result of common pathways. Since this grand rounds was completed, ATLS released their 2017 update, to see the most relevant changes, visit our infographic here! Alanezi K, Alanzi F, Faidi S, Sprague S, Cadeddu M, Baillie F, Bowser D, McCallum A, Bhandari M. Survival rates for adult trauma patients who require cardiopulmonary resuscitation. CJEM. 2004 Jul;6(4):263-5. Atiksawedparit P, Rattanasiri S, McEvoy M, Graham C, Sittichanbuncha Y, Thakkinstian A. Effects of prehospital adrenaline administration on out-of-hospital cardiac arrest outcomes: a systematic review and meta-analysis. Crit Care. 2014; 18(4): 463. Alarhayem AQ, Cohn SM, Muir MT, Myers JG, Fuqua J, Eastridge BJ. Organ Donation, an Unexpected Benefit of Aggressive Resuscitation of Trauma Patients Presenting Dead on Arrival. J Am Coll Surg. 2017 May;224(5):926-932. Barnard E, Yates D, Edwards A, Fragoso-Iñiguez M, Jenks T, Smith JE.Epidemiology and aetiology of traumatic cardiac arrest in England and Wales — A retrospective database analysis. Resuscitation. 2017; 110; 90-94. Beck B, Bray JE, Cameron P, Straney L, Andrew E, Bernard S, Smith K. Resuscitation attempts and duration in traumatic out-of-hospital cardiac arrest. Resuscitation. 2017 Feb;111:14-21. Bowles F, Rawlinson K. BET 3: The efficacy of chest compressions in paediatric traumatic arrest. Emerg Med J. 2016 May;33(5):368. Brindis SL, Gausche-Hill M, Young KD, Putnam B. Universally poor outcomes of pediatric traumatic arrest: a prospective case series and review of the literature. Pediatr Emerg Care. 2011 Jul;27(7):616-21. Burlew CC, Moore EE, Moore FA, Coimbra R, McIntyre RC Jr, Davis JW, Sperry J, Biffl WL. Western Trauma Association critical decisions in trauma: resuscitative thoracotomy. J Trauma Acute Care Surg. 2012 Dec;73(6):1359-63. Chiang WC, Chen SY, Ko PC, Hsieh MJ, Wang HC, Huang EP, Yang CW, Chong KM, Chen WT, Chen SY, Ma MH. Prehospital intravenous epinephrine may boost survival of patients with traumatic cardiac arrest: a retrospective cohort study. Scand J Trauma Resusc Emerg Med. 2015 Nov 19;23:102. Crewdson K, Lockey D. Mortality in traumatic cardiac arrest. Resuscitation. 2017 Apr;113:e21. Degiannis E, Loogna P, Doll D, Bonanno F, Bowley DM, Smith MD. Penetrating cardiac injuries: recent experience in South Africa. World J Surg. 2006 Jul;30(7):1258-64. Evans CC, Petersen A, Meier EN, Buick JE, Schreiber M, Kannas D, Austin MA; Resuscitation Outcomes Consortium Investigators. Prehospital traumatic cardiac arrest: Management and outcomes from the resuscitation outcomes consortium epistry-trauma and PROPHET registries. J Trauma Acute Care Surg. 2016 Aug;81(2):285-93. Gräsner JT, Wnent J, Seewald S, Meybohm P, Fischer M, Paffrath T, Wafaisade A, Bein B, Lefering R; German Resuscitation Registry Working Group, Trauma Registry of the German Society for Trauma Surgery (DGU).Cardiopulmonary resuscitation traumatic cardiac arrest–there are survivors. An analysis of two national emergency registries. Crit Care. 2011;15(6):R276. Gupta B, Garg N, Ramachandran R. Vasopressors: Do they have any role in hemorrhagic shock? J Anaesthesiol Clin Pharmacol. 2017 Jan-Mar;33(1):3-8. Harris T, Masud S, Lamond A, Abu-Habsa M. Traumatic cardiac arrest: a unique approach. Eur J Emerg Med. 2015 Apr;22(2):72-8. Inaba K, Chouliaras K, Zakaluzny S, Swadron S, Mailhot T, Seif D, Teixeira P, Sivrikoz E, Ives C, Barmparas G, Koronakis N, Demetriades D. FAST ultrasound examination as a predictor of outcomes after resuscitative thoracotomy: a prospective evaluation. Ann Surg. 2015 Sep;262(3):512-8; discussion 516-8. Irfan FB, Consunji R, El-Menyar A, George P, Peralta R, Al-Thani H, Thomas SH, Alinier G, Shuaib A, Al-Suwaidi J, Singh R, Castren M, Cameron PA, Djarv T. Cardiopulmonary resuscitation of out-of-hospital traumatic cardiac arrest in Qatar: A nationwide population-based study. Int J Cardiol. 2017 Aug 1;240:438-443. Kjellemo H, Hansen AE, Øines DA, Nilsen TO, Wik L. Pediatric Cardiac Arrest Due to Trauma. Prehosp Emerg Care. 2016 May-Jun;20(3):425-31. Kleber C, Giesecke MT, Lindner T, Haas NP, Buschmann CT. Requirement for a structured algorithm in cardiac arrest following major trauma: epidemiology, management errors, and preventability of traumatic deaths in Berlin. Resuscitation. 2014 Mar;85(3):405-10. Leis CC, Hernández CC, Blanco MJ, Paterna PC, Hernández Rde E, Torres EC.Traumatic cardiac arrest: should advanced life support be initiated? J Trauma Acute Care Surg. 2013 Feb;74(2):634-8. Lin YR, Syue YJ, Buddhakosai W, Lu HE, Chang CF, Chang CY, Chen CH, Chen WL, Li CJ. Impact of Different Initial Epinephrine Treatment Time Points on the Early Postresuscitative Hemodynamic Status of Children With Traumatic Out-of-hospital Cardiac Arrest. Medicine (Baltimore). 2016 Mar;95(12):e3195. Lockey D, Crewdson K, Davies G. Traumatic cardiac arrest: who are the survivors? Ann Emerg Med. 2006 Sep;48(3):240-4. Lockey DJ, Lyon RM, Davies GE. Development of a simple algorithm to guide the effective management of traumatic cardiac arrest. Resuscitation. 2013 Jun;84(6):738-42. Luciano BA, Marcela GF, Cesar EP, de Godoy JM. Necessity of immediate cardiopulmonary resuscitation in trauma emergency. World J Emerg Surg. 2010 Aug 25;5:25. doi: 10.1186/1749-7922-5-25. Luna GK, Pavlin EG, Kirkman T, Copass MK, Rice CL. Hemodynamic effects of external cardiac massage in trauma shock. J Trauma. 1989 Oct;29(10):1430-3. Millin MG, Galvagno SM, Khandker SR, Malki A, Bulger EM; Standards and Clinical Practice Committee of the National Association of EMS Physicians (NAEMSP); Subcommittee on Emergency Services–Prehospital of the American College of Surgeons’ Committee on Trauma (ACSCOT). Withholding and termination of resuscitation of adult cardiopulmonary arrest secondary to trauma: resource document to the joint NAEMSP-ACSCOT position statements. J Trauma Acute Care Surg. 2013 Sep;75(3):459-67. Mollberg NM, Wise SR, Berman K, Chowdhry S, Holevar M, Sullivan R, Vafa A. The consequences of noncompliance with guidelines for withholding or terminating resuscitation in traumatic cardiac arrest patients. J Trauma. 2011 Oct;71(4):997-1002. Peris A, Biondi S, Zagli G. Cardiopulmonary resuscitation after traumatic cardiac arrest–there are survivors: registries must speak about it. Crit Care. 2012 Sep 21;16(5):449; author reply 449. Pickens JJ, Copass MK, Bulger EM. Trauma patients receiving CPR: predictors of survival. J Trauma. 2005 May;58(5):951-8. Erratum in: J Trauma. 2005 Nov;59(5):1279-81. Raoof M, Joseph BA, Friese RS, Kulvatunyou N, O’Keeffe T, Tang A, Wynne J, Latifi R, Rhee P. Organ donation after traumatic cardiopulmonary arrest. Am J Surg. 2011 Dec;202(6):701-5; discussion 705-6. Rottenberg EM. The need for abdominal only CPR in the treatment of hemorrhagic shock and trauma arrests. Am J Emerg Med. 2016 Jun;34(6):1156-7. Seamon MJ, Haut ER, Van Arendonk K, Barbosa RR, Chiu WC, Dente CJ, Fox N, Jawa RS, Khwaja K, Lee JK, Magnotti LJ, Mayglothling JA, McDonald AA, Rowell S, To KB, Falck-Ytter Y, Rhee P. An evidence-based approach to patient selection for emergency department thoracotomy: A practice management guideline from the Eastern Association for the Surgery of Trauma. J Trauma Acute Care Surg. 2015 Jul;79(1):159-73. Simms ER, Flaris AN, Franchino X, Thomas MS, Caillot JL, Voiglio EJ. Bilateral anterior thoracotomy (clamshell incision) is the ideal emergency thoracotomy incision: an anatomic study. World J Surg. 2013 Jun;37(6):1277-85. Smith JE, Rickard A, Wise D. Traumatic cardiac arrest. J R Soc Med. 2015 Jan;108(1):11-6. Smith JE, Le Clerc S, Hunt PA. Challenging the dogma of traumatic cardiac arrest management: a military perspective. Emerg Med J. 2015 Dec;32(12):955-60. Truhlář A, Deakin CD, Soar J, Khalifa GE, Alfonzo A, Bierens JJ, Brattebø G, Brugger H, Dunning J, Hunyadi-Antičević S, Koster RW, Lockey DJ, Lott C, Paal P, Perkins GD, Sandroni C, Thies KC, Zideman DA, Nolan JP; Cardiac arrest in special circumstances section Collaborators. European Resuscitation Council Guidelines for Resuscitation 2015: Section 4. Cardiac arrest in special circumstances. Resuscitation. 2015 Oct;95:148-201. doi: 10.1016/j.resuscitation.2015.07.017. Vassallo J, Nutbeam T, Rickard A, Lyttle M, Smith J. 49 Paediatric traumatic cardiac arrest – the development of a treatment algorithm. Emerg Med J. 2017 Dec;34(12):A892-A894. Willis CD, Cameron PA, Bernard SA, Fitzgerald M. Cardiopulmonary resuscitation after traumatic cardiac arrest is not always futile. Injury. 2006 May;37(5):448-54. Zwingmann J, Mehlhorn AT, Hammer T, Bayer J, Südkamp NP, Strohm PC. Survival and neurologic outcome after traumatic out-of-hospital cardiopulmonary arrest in a pediatric and adult population: a systematic review. Crit Care. 2012 Jul 6;16(4):R117. Zwingmann J, Lefering R, Feucht M, Südkamp NP, Strohm PC, Hammer T. Outcome and predictors for successful resuscitation in the emergency room of adult patients in traumatic cardiorespiratory arrest. Crit Care. 2016 Sep 6;20:282. Dr. Rob Suttie is a 4th year Emergency Medicine Resident and POCUS Fellow for 2018-2019 . He has a special interest in FOAMed in particular POCUS related content. Previous Post: Efficacy of High-Sensitivity Troponin T in Identifying Very-Low-Risk Patients With Possible Acute Coronary Syndrome.